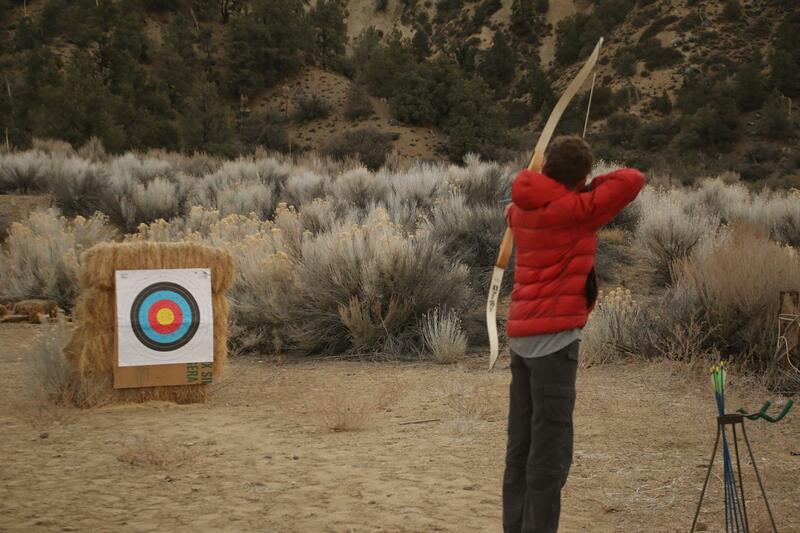 Looking for your Boy Scout Troop in a different city? Find it in our unit directory. On February 16, we went on a trip to Mt. Pinos. 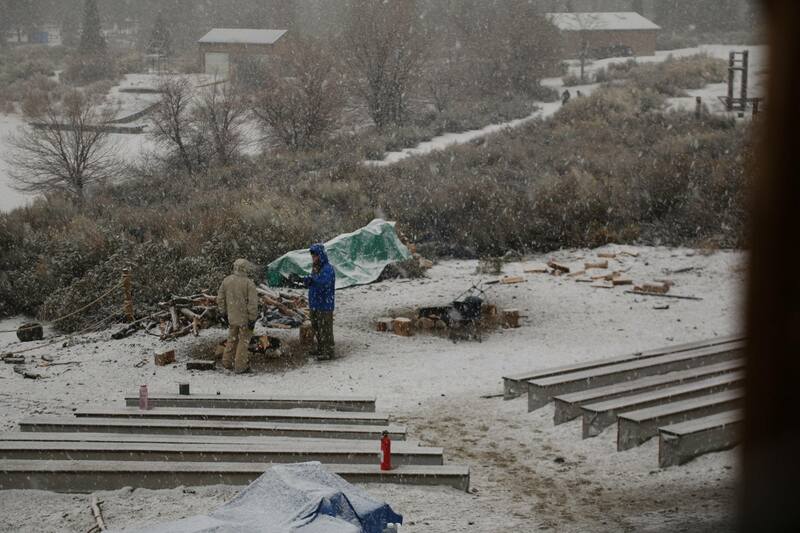 When we arrived, the snow almost entirely covered the picnic tables in the campground. Temperatures got as low as degrees. 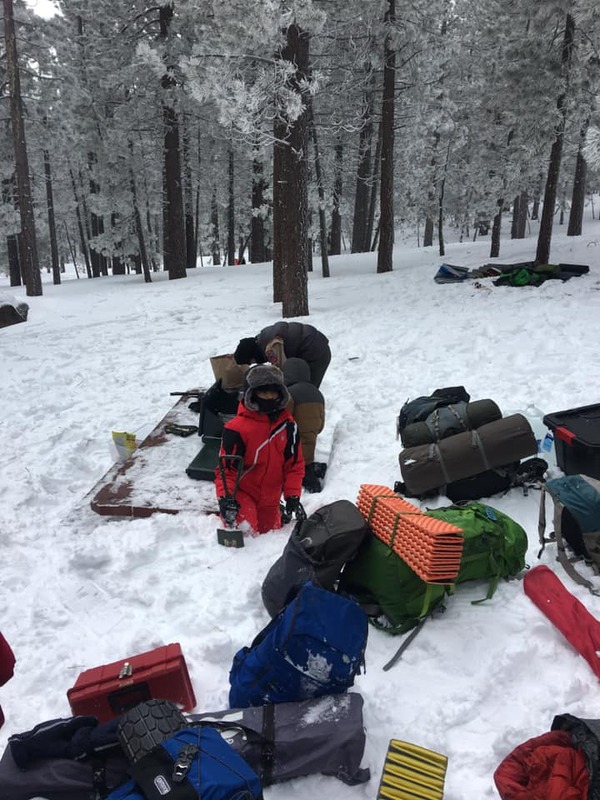 The scouts made the most of this by sledding down the nearby hills. Dinner went well, and no one was hungry. The night was cold, and some of our water froze even when we kept it in our sleeping bags! Thankfully, we were all warm enough to get some sleep. Unfortunately, we had to leave on Sunday morning because of a nearby snowstorm. Other than that, The trip went well overall. 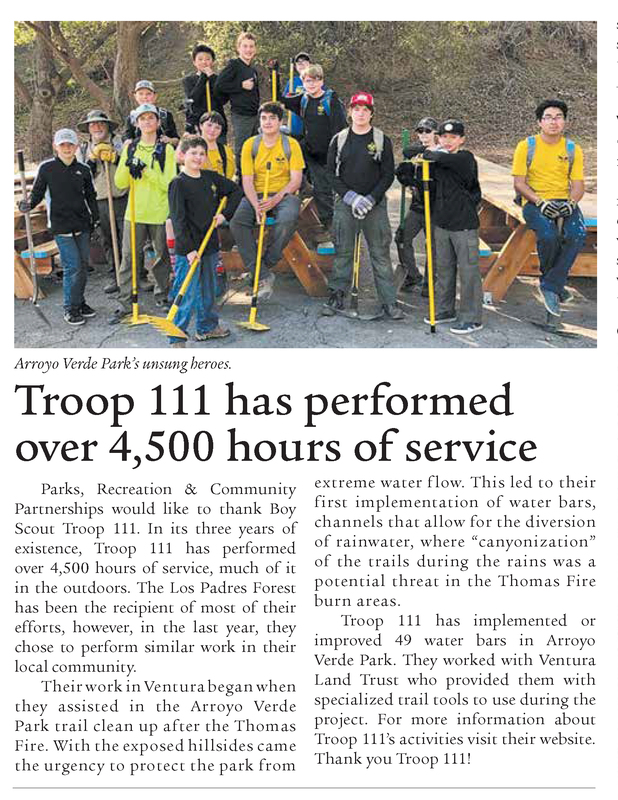 In the past two months, Troop 111 has been in three newspaper articles.The first was published in Ojai Valley News on December 27th. It discussed a service project in December of 2018, when scouts repaired a bathroom in Rose Valley and planted a new sign. 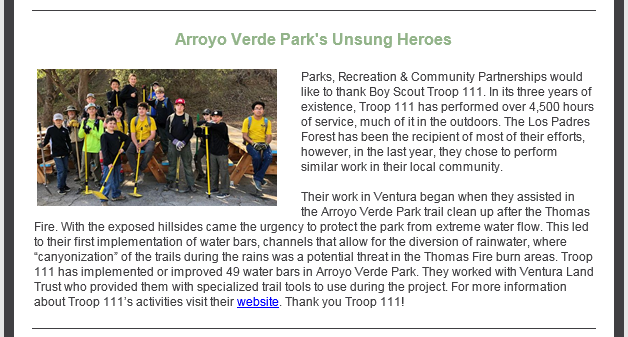 The second was published on January 8th by the city’s newsletter, is titled “Arroyo Verde Park’s Unsung Heroes”. It talks about a service project in early 2018. During this service project, scouts from Troop 111 dug water bars, which direct rainwater. The third and final (so far) news article, published by the Ventura Breeze Newspaper, talks about the same service project. An article in Boys’ Life, a magazine distributed to Boy Scouts, discussed a service project in December of 2017. The Thomas Fire had been going on for a few weeks, and hundreds of houses had already burned. 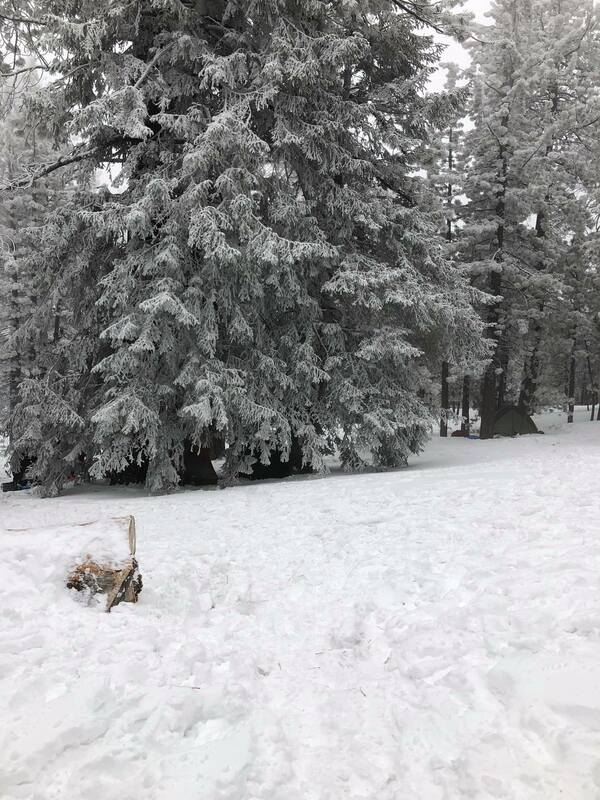 People who lived a little ways uphill from Juanamaria Park were being allowed to go to their homes, which were in mandatory evacuation areas, for a short amount of time, and needed help carrying items. Troop 111 members spent a few hours helping them and handing out snacks and drinks in the parking lot of Temple Beth Torah. 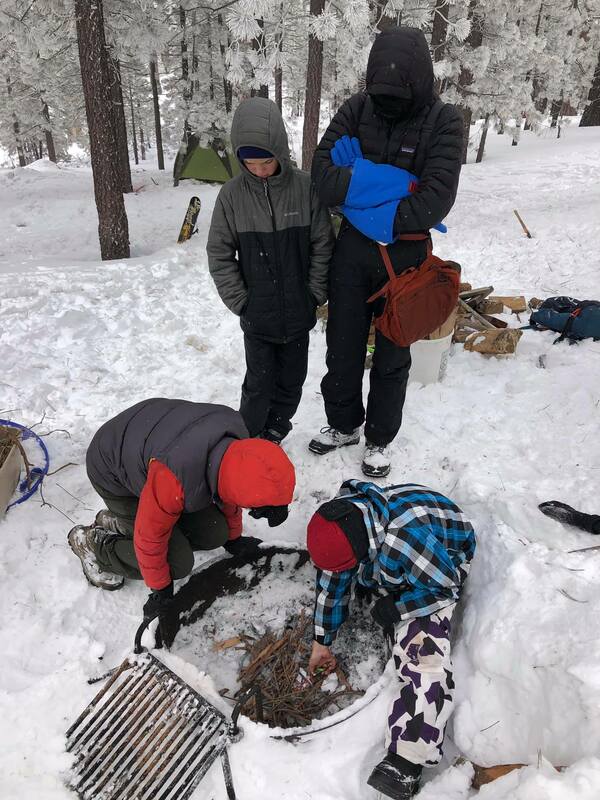 Troop 111 planned on starting the year with a trip to Joshua Tree National Park, but the recent government shutdown caused the park to close. 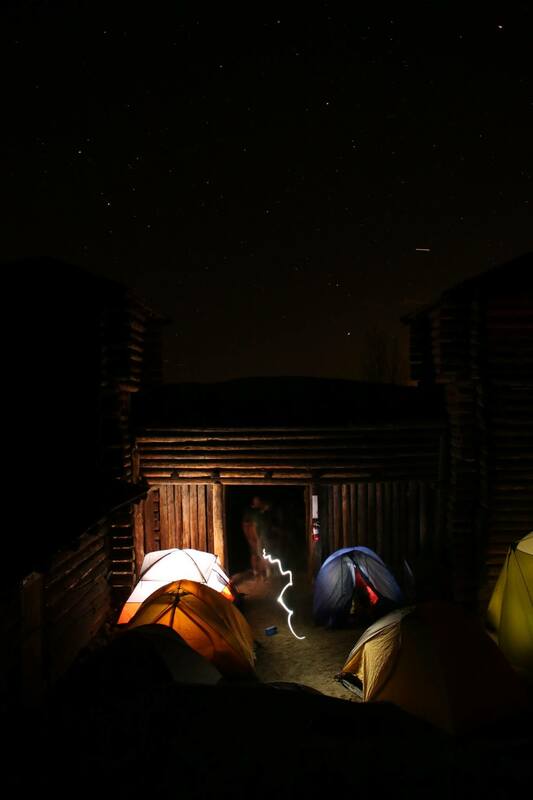 The scouts chose to visit Camp Three Falls, a troop favorite, instead. On Saturday, the snow began to fall, and continued throughout most of the day. Most of the boys spent their time having snowball fights, playing in Fort Lockwood, and playing board games in the mess hall. Some boys took a 5 mile hike to North Fork Falls to work on their hiking merit badge. 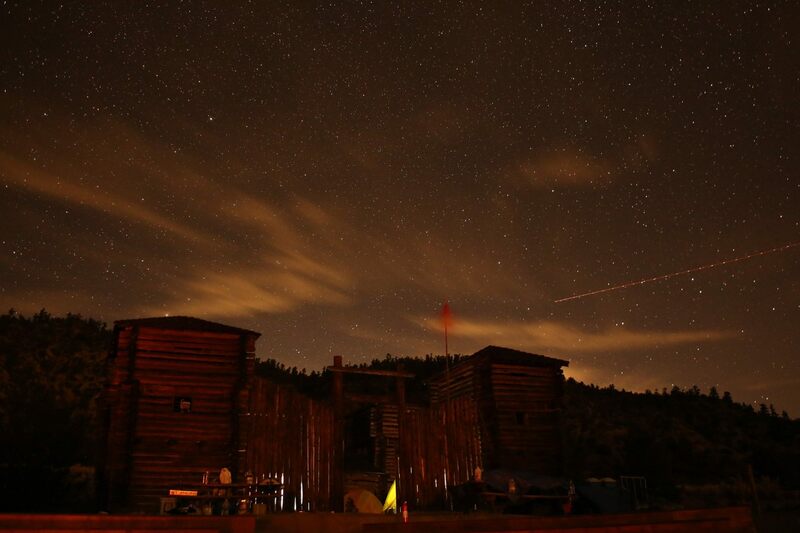 The camp also opened up the shooting range for shotguns. 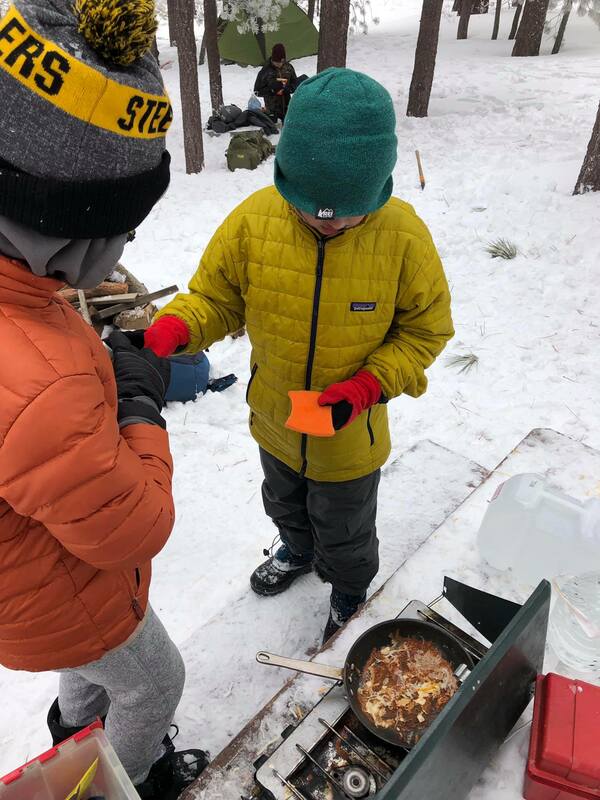 The cooking went great, and many of the boys used the trip to work on their cooking merit badge. Thankfully, the snow didn’t end up blocking the roads, so we were able to leave on time. 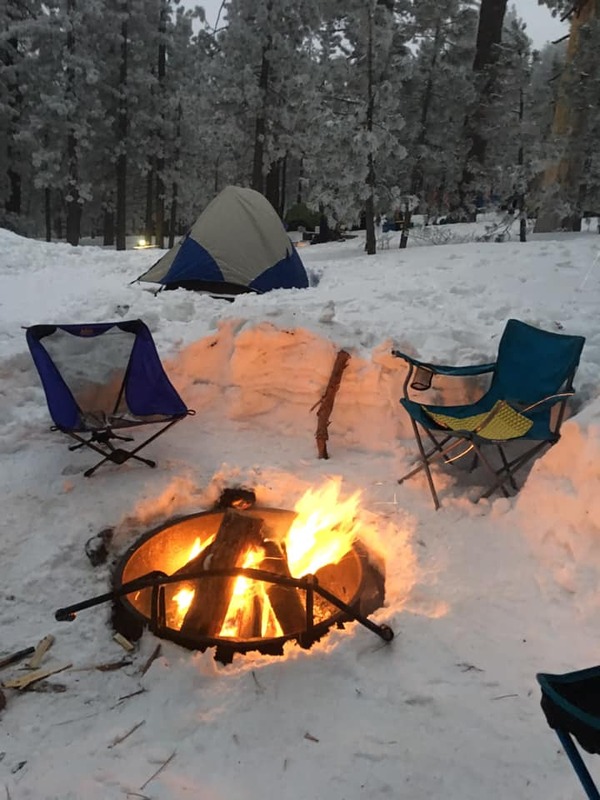 Overall, It was a great weekend of camping and playing in the snow. 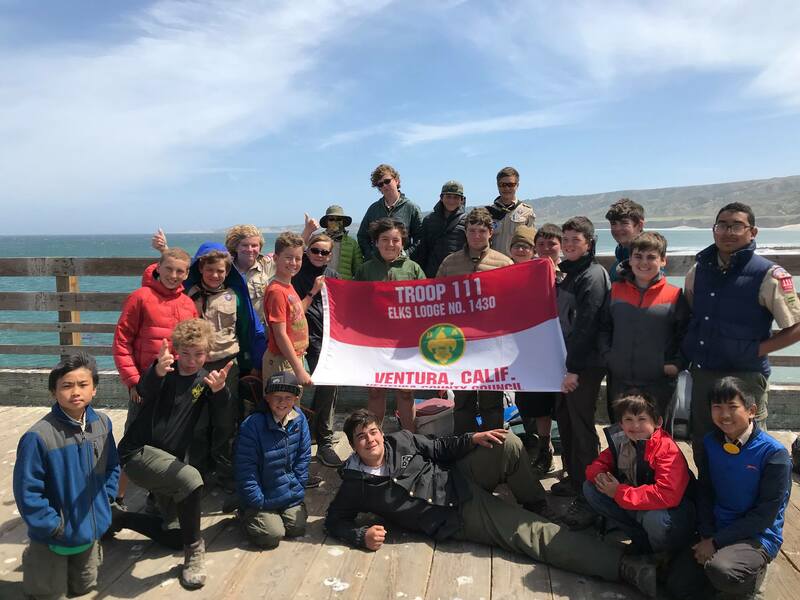 Over the weekend of the 14th of August, a group of Troop 111's HAT candidates set out on a long journey to the Los Padres wilderness, specifically to the Potholes Trailhead. The candidates started out with an incredibly steep 5.9 mile hike, over ridges and passes, stopping to take a break for lunch, and also to install a sign that they'd been carrying for 3 miles. After the sign installation, they worked their way down behind the mountain ranges, eventually arriving at the Log cabin campsite. The next day, the group hiked through what is known as the Devil's Gateway, a super thin opening in a humongous rock, from then on, things were smooth sailing. Until they found Kesters Cabin. This spooky place consisted of gnarled oak trees, a semi rotten cabin, and a couple of unidentified bones. The scouts stopped there to eat lunch and gather their thoughts, then headed out, following a trail for about 1.2 miles, which gradually became a road, and the scouts encountered many creek crossings, which were to be described as "wet", and "fun". The whole trip was a blast, and I'm sure many of the candidates enjoyed the challenging experience. Ahh, the island trip. 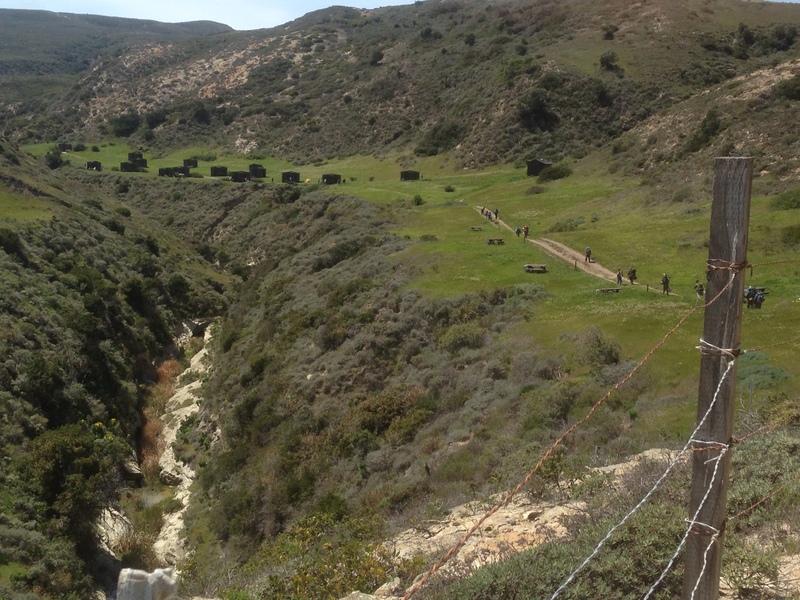 It was my first time going to the Channel Islands with the troop, and I was excited. 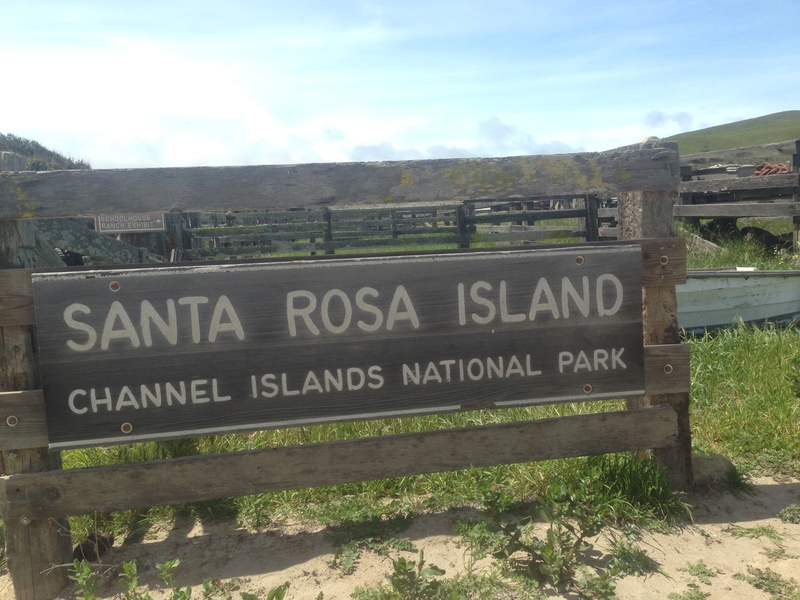 We traveled to Santa Rosa, one of the smaller, but main islands in the channel. After a long boat ride that eventually ended up with everything soggy from the sea spray, we were dropped off at a small dock and had to hike about a mile to get to our campsite. There were small wind shelters where everyone could put their stuff, and either small patrols shared one, or a larger patrol got their own. It was fairly windy on the island, but the views were beautiful. 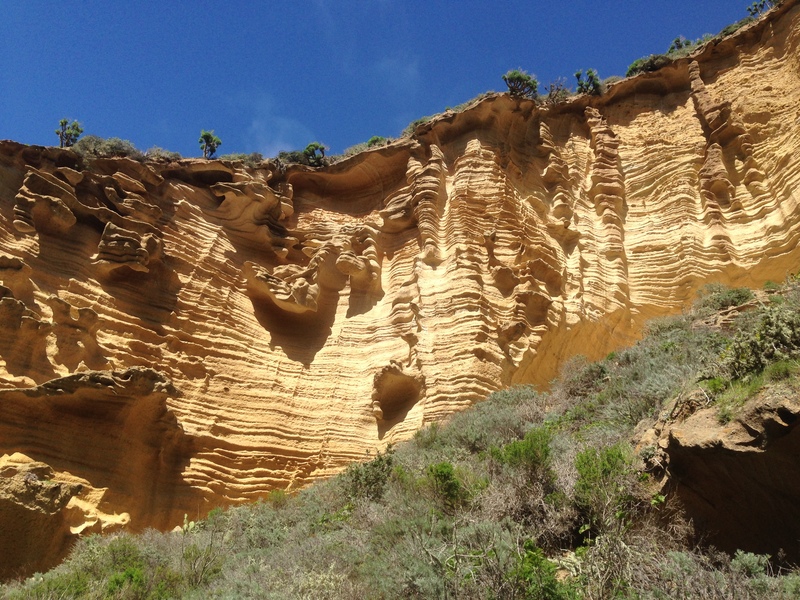 One of the scout leaders took a group on a 15 miler around the coast of the island, the hike was described as hot and buggy, but with spectacular views! One group was given the opportunity to go to the ocean. Lets just say this, it was COLD. Sunday morning, we packed up and got ready to head home. The boat ride was awesome, with plenty of rocking and splashing. 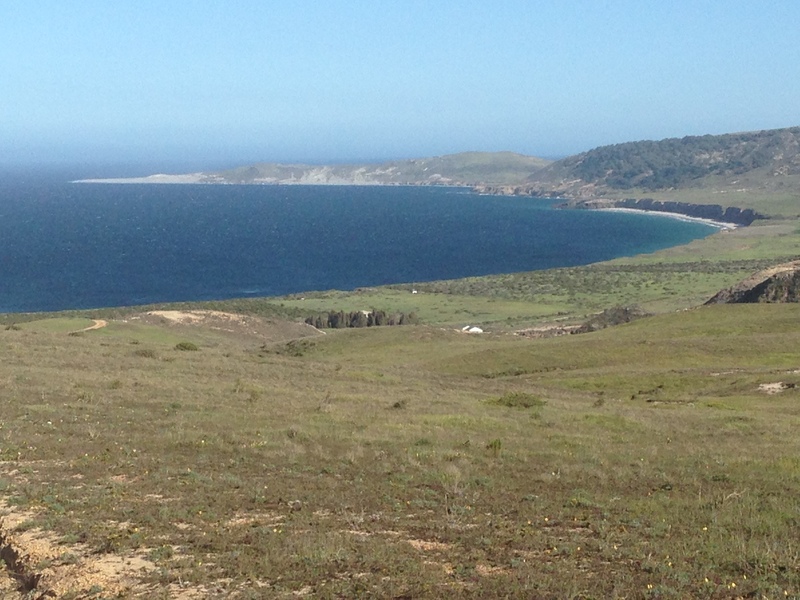 I would say that the Santa Rosa trip was one of the greatest Troop 111 trips of the season. I can't wait for the next one! Copyright 2015, Boy Scout Troop 111. All rights reserved.